From Texas to California, Wyoming to Tennessee, Mike Howard & The All-Around Cowboys bring the sound of good, old-fashioned, Western Swing to everybody out there that likes a cold beer, hot salsa and a swinging two-step! Enjoy the sounds and keep on dancin'! Classic, Bob Wills style Western Swing! Quick...find someone to dance with! I have been listening to your songs on MICK'S PICKS and I think they are great. I am very happy to have discovered you lol! * Your song 'She Left Me (But She Can't Leave Me Alone)' has just been added to Oxbow Free Radio station! * Your song 'Cowboyology' has just been added to Oxbow Free Radio station! * Your song 'She Left Me (But She Can't Leave Me Alone)' has just been added to Cowboy Tunz station! 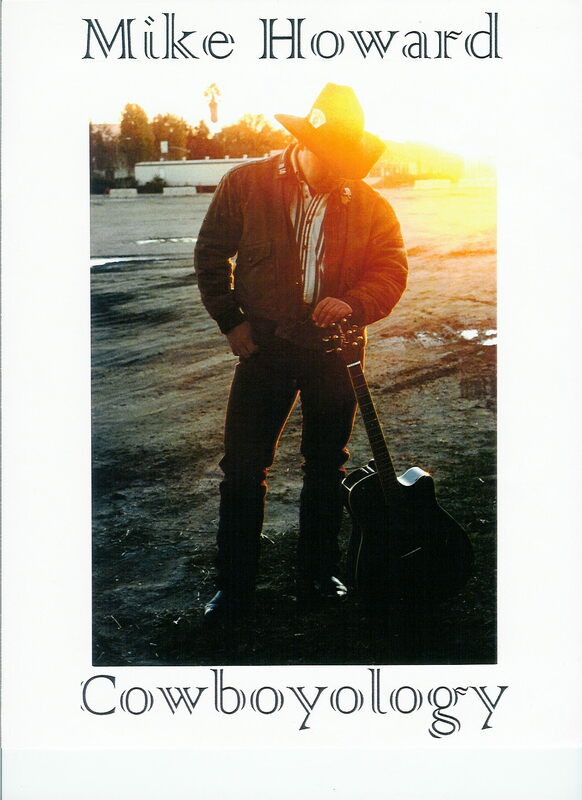 * Your song 'Cowboyology' has just been added to Cowboy Tunz station! * Your song 'Cowboyology' has just been added to Heartland station! * Your song 'Cowboyology' has just been added to Legendary Music station! * Your song 'She Left Me (But She Can't Leave Me Alone)' has just been added to Prime 50 station! * Your song 'Cowboyology' has just been added to Rays New Songs Station station! * Your song 'Cowboyology' has just been added to COUNTRY REBELS station! * Your song 'Cowboyology' has just been added to D And M Music Review station! * Your song 'Cowboyology' has just been added to Yrral Malliks Country station! * Your song 'Cowboyology' has just been added to KIAC Wave Country station! * Your song 'Cowboyology' has just been added to IAC BEST COUNTRY station! * Your song 'Cowboyology' has just been added to KczxOnline station! * Your song 'She Left Me (But She Can't Leave Me Alone)' has just been added to WHERE THE MIGHTY RIVERS MEET station! IAC Your song 'She Left Me (But She Can't Leave Me Alone)' has just been added to Roymunizzz Stand Up And Cheer station. station! IAC Your song 'Cowboyology' has just been added to XNWY Kickinghorse Country Radio station! IMP Your song 'She Left Me (But She Can't Leave Me Alone)' has just been added to Larry's Top 50 station! IMP Your song 'She Left Me (But She Can't Leave Me Alone)' has just been added to The Dorroughbys Picks station!